Whether you are a regular runner, or one that has just started out with us, this week’s route is a great one for all. A good introduction to off-road running for those doing the shorter distance (4.5miles) it is flat, going past the characterful houseboats of Shoreham and going out along the River Adur where your feet and ankles will get used to running on uneven terrain without hills. Don’t want to run 4.5miles? No problem because on this run you can just turn back and follow the river back to the start (making sure you let one of our Run Ambassadors know you are returning earlier). For our runners training for Lake Garda, it is now three weeks until race day and just two weeks for our runners training for the Rise 8k. Garda training groups can choose between 8 miles (15k girls) and 17 miles (27.5kms) as per the training plan for those running 30k in Italy. Those who are training for 15k who want to go longer let us know and we can add on 1 or two miles extra. For those going long, our terrain will vary with a few hills as we leave the river and head into the country, before dropping down through Lancing to the seafront and back to Shoreham, allowing us to pick up our feet and power back to base for a final lap around Shoreham to the finish. Last week, we had fields of cows, rivers full of swans and blackberry bushes galore. What will it be this time?! Come and get your usual Sunday endorphins this weekend! PLEASE COMMENT HERE IF YOU ARE COMING AND WHICH DISTANCE. IF GOING LONG, PLEASE BRING WATER AND EAT APPROPRIATELY. IT IS A LONG WAY TO GO WITHOUT WATER. 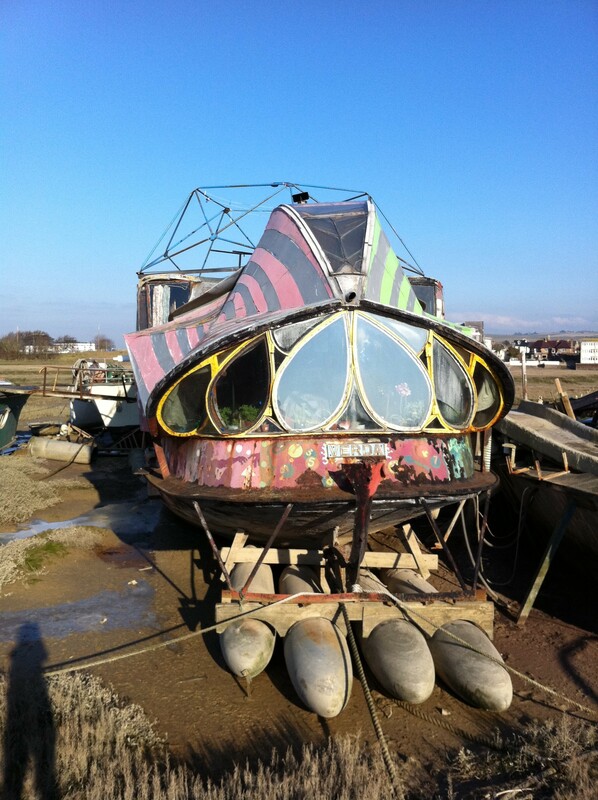 Location: Meet car park by Lower Beach Road, Shoreham-by-Sea – map here. you will need to pay for parking but it is cheap. Comment if you need a lift. Become a stronger runner. Wednesday 12th September Hills and conditioning. Running isn’t just about putting one foot in front of the other. Runners need strong, conditioned muscles and although the legs do the work, stable core strength is required. 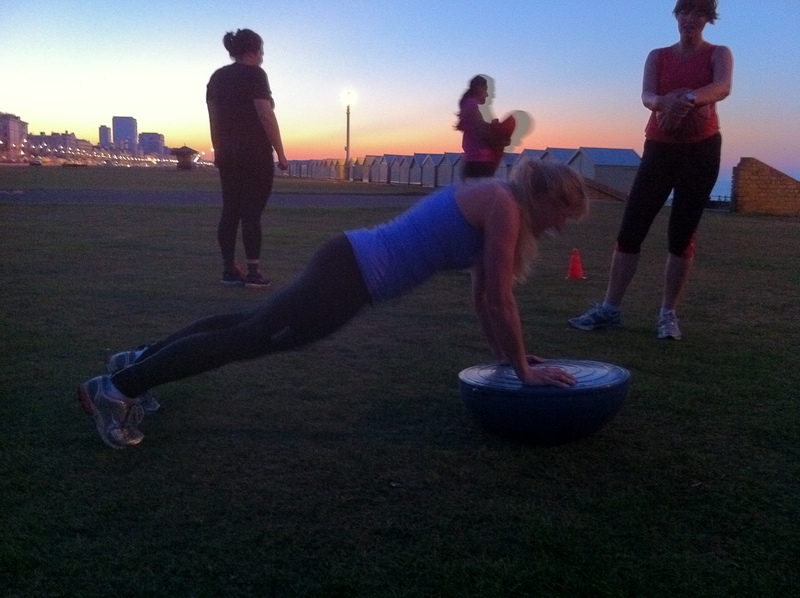 Wednesdays session will target all over muscle strength including the glutes to improve hamstring and calf flexibility. There are hills involved to help with the strength work as well as increasing cardio performance. 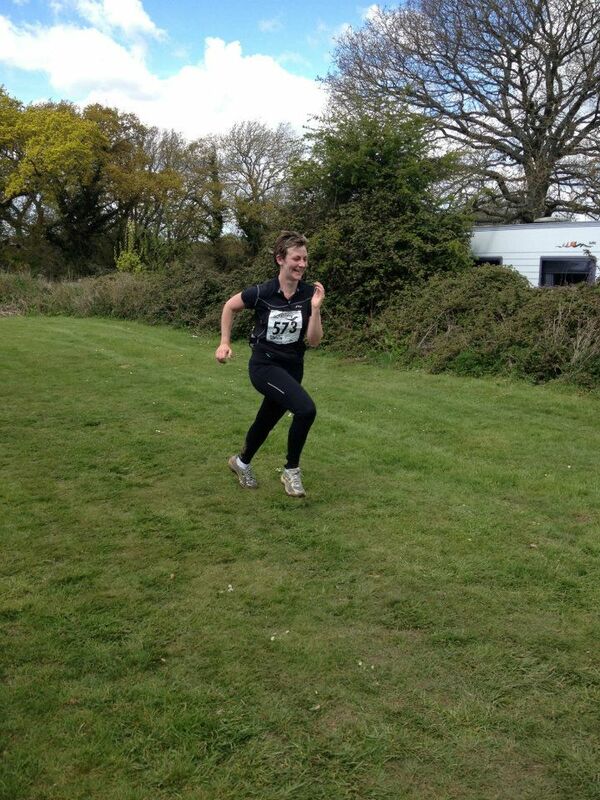 With the Firle runs last Sunday being a huge success, we have flatter runs on our current training plans. After some hill and conditioning training, the flat runs seem that little bit easier. Rise and Garda runners, they are a must! Plus there will be a chance to mix up your training with some fun activities I promise! Meet: In front of Peter Pan playground. Madeira Drive. If you have a foam roller and a mat then please bring them. Please comment and wear wrist bands if you have them. get your endorphin fix for the week! So, we’re all back from holiday and the kids are about to go back to school. You may have the blues but you won’t after this Wednesday’s training session. We’ll be working on power and pace but don’t worry if you are a beginner, as you will all be put in a group suitable for your level and training. This session is focused on helping you to improve your speed, which involves more muscle recruitment (more results on your bum – yay!) and means you will burn more calories for longer afterwards (yay again! One way of working off the holiday binge season). And the off shoot of all of this? An endorphin high that will last until the weekend. If you are training for Garda, you should all be attending these sessions now (or our Sunday’s). And for our Firle runners, this is our last session before race day on Sunday so this will leave you feeling raring to go. If you have not been to run club before, please come along but arrive 5-10mins early so you can fill out the necessary paperwork. PLEASE COMMENT HERE IF YOU ARE COMING SO THAT WE PLAN THE SESSION ACCORDINGLY. Wednesday 29th August. Pace and speedwork. Get the trainers back on tomorrow for some more running. This week it’s pace and speed training to help improve your overall running performance. As with all our Wednesday sessions, this is suitable for all abilities and there is no set distance. Goals will be set depending on individual abilities. We aim to keep you motivated throughout your training and help you become a more conditioned runner, reducing the risk of injury. 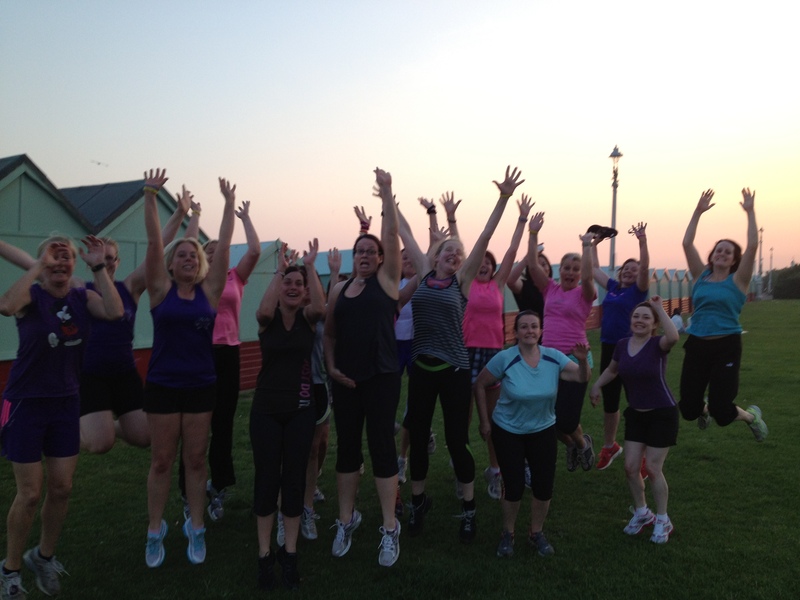 Garda girls, Firle and Rise runners keep on top of your training and join us this Wednesday. Please comment if you are coming along. Meet: Hove Street, Promenade near King Alfred car park. Hills to boost the power in your legs. Wednesday 15th August. So pleased we did the hill sessions! Wednesday 15th August there will be two sessions. One for beginner runners and our Rise 8k group, details of that session will be posted soon. Hill training – If you are following one of our current training plans (except Rise 8k) or an already fairly experienced runner, then you are all set for some power boosting, leg strengthening and stamina building hill repetitions. Most of our runners look back at a time when tackling an uphill run seemed almost impossible. With a mix of training including regular hill sessions, the (occasional!) Sunday hills can be conquered! It is also a highly beneficial way to improve endurance and running stride for flatter, longer runs. Please comment below if you are joining this session. Will it be a winning Wednesday! Pace session. Wednesday 8th August. If there’s ever a time to be inspired to get the running shoes on, it’s got to be now! Olympic fever is phenomenal. At our running club, there’s no expectations of how fast or far you can run. Although we have been known to get you to visualize you’re an Olympic athlete, to improve your running style. This Wednesday it’s a pace session which is part of the training plan for all the Lake Garda distances, Firle and our 10k beginners. The pace and intensity are dependant on your individual pace and current fitness level. The purpose is to constantly reprogram your body to run further and slightly faster to avoid plateauing. Bolt didn’t win gold by cruising in his comfort zone during training. Come join us and be your own winner. Meet: Hove Promenade. Bottom of Hove Street, by the King Alfred car park and lifeguard hut. Stanmer Park and beyond. Sunday 15th July. This Sunday we are taking to the woodland trails at Stanmer Park. There are two distances of 7 miles and 10 miles. Both start out together as we will run from Stanmer, through the village and up towards Ditchling Beacon. The 7 mile route loops back with some downhill as the pathway takes you back towards Falmer village. The 10 mile route keeps heading towards Lewes before looping back. Both distances provide lovely scenery. Running past farms and views over Plumpton as we cover some of The South Downs Way. Lake Garda 30k and the Firle half are on 7 miles for this week. The Lake Garda marathon is 10 miles. There is no rule that you need to be training for these events to join us. 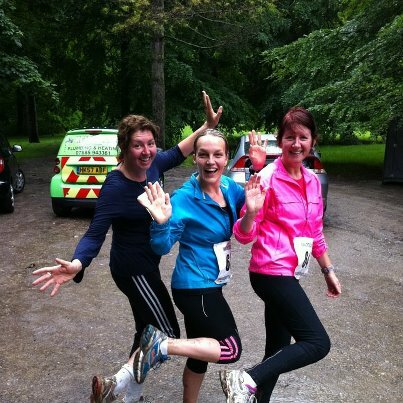 If you are familiar with off-road running or similar distances then come along. Comment with your distance and if you need or can offer a lift. The Stanmer House is now open for Breakfast. Always nice to end a long run with some food, especially if it’s made for you! Meet: Stanmer Park, entrance off the A27. First car park on the left. Coaches: Kate 07702983744. Melissa 07894146016. Ambassador: Mel A.
Woodland run. Sunday 1st July. Now meeting at Hove Park Cafe. If you’ve reached a crossroads then take the FitBitch way. 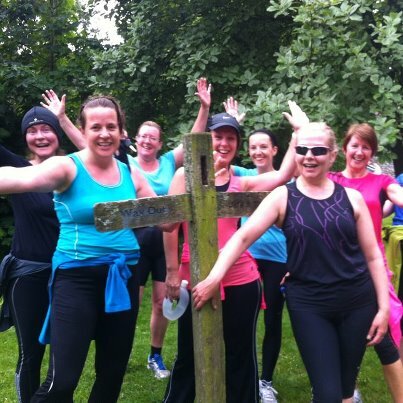 Join us on a mix of woodland and open land as we run through the beautiful Stanmer Park. 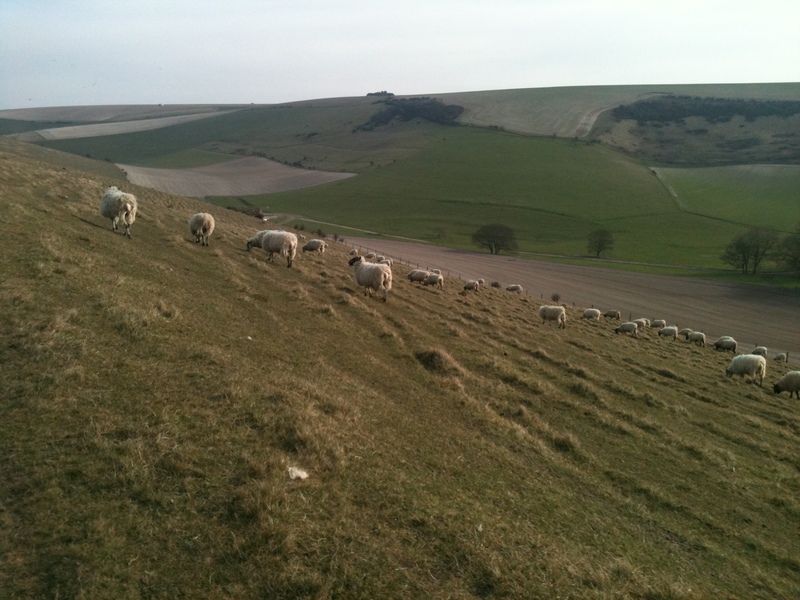 Located on the outskirts of Brighton, there is of course some hills! Up and down and up a little bit more. Perfect to work the heart, lungs and tone the glutes. There is a choice of two distances. 5 miles: This starts off rather challenging but is worth it for the scenery and the down hill finish. A suitable distance for those who are starting out on the Lake Garda 30k programme, 10k or similar distance runners who want to maintain the mileage and hard work and not forgetting females who can run a flat 4 – 5 miles and would like to train off-road. If you’re not quite there yet but like the sound of these friendly, fitness boosting sessions, we have a beginners programme starting on the 18th July. 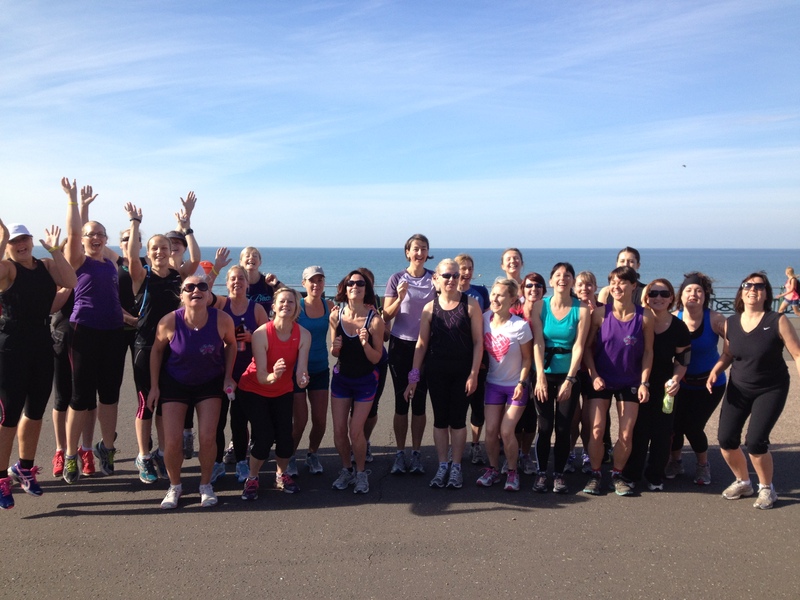 Less than ten weeks ago we had a group of beginners who haven’t looked back (especially whilst running up hill!) and now they even smile on our training runs. A true inspiration. 8 miles: This route starts off with the 5 miler’s then continues through fields as the shorter route takes a woodland path. There is a great mix of scenery and terrain, passing farm houses and poppy fields, through shaded areas and open land. Please comment with the distance you intend to do. Meet: Stanmer Park. Off A27 – past the white houses at the entrance, take the 1st left car park. Coaches: Kate 07702983744. Rachael 07855742195. 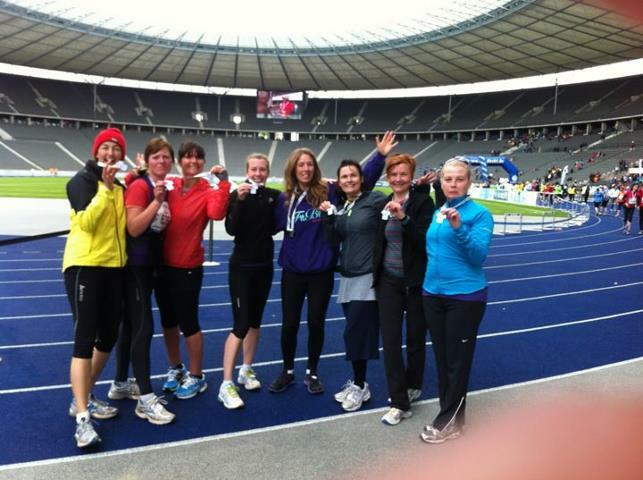 Running ambassador: Tor. It’s tempo time. Wednesday 30th May. Tor was pleased she did some tempo training! Wednesdays training session is based on tempo training.Perfect for those who are maintaining their running prior to Lake Garda training and perfect for week 5 of the Friston Forest plan. Every runner benefits from tempo training regardless of individual pace. This form of training will help increase your running pace and distance at the same time as helping to prevent suffering with jelly legs and stop feeling the burn. Intensity is the name of the game, but it’s not as bad as it sounds and you will look back whilst running through Friston Forest or near Lake Garda and be grateful you took the time to tempo train. Plus you burn more calories than you would on a steady run. Meet: Bottom of Hove Street by the lifeguards hut on Hove seafront. Parking at King Alfreds.